There have always been a number of time-tested, simple principles in service management that we must get right in order to become successful providers of services. But surprisingly, these principles are not easy to spot in the popular service management frameworks. I suppose the reason is that such frameworks often start small and then put on weight over time. Actually when we speak of service management guidelines like ITIL® these days, the discussions are often about dozens of processes and how to "implement" them correctly. There are lots of details and complex interrelationships, and it is thus quite difficult to figure out how each process fits into the big picture and why it is useful. Small wonder, then, that a lot of people are not exactly enthusiastic about ITIL and similar service management frameworks: They are often seen as de-facto standards that cannot be ignored, not advice that can bring real benefits. So today, some 20 or 30 years after the beginnings of service management best practice, we go back to basics again and start a new series of blog posts and videos about the simple principles in service management - and how to bring them to bear in real life with YaSM. We all experience awful customer service far too often, so not everybody seems to think that good relationships with their customers are something worth having. 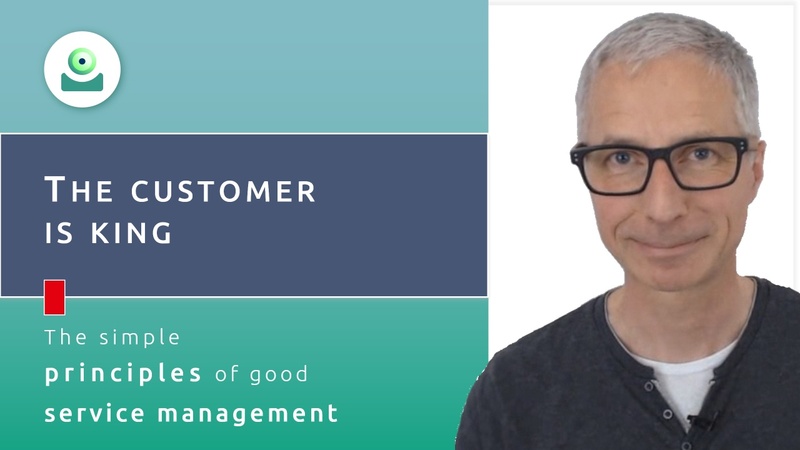 To see how customer-centricity works and how YaSM can help your organization with becoming customer-centric, start the video: "The customer is king" (7:30 min.). Ask questions and share your thoughts in the YaSM community.